Three Lawrence University students captured first-place honors at the 2017 Music Teachers National Association (MTNA) Wisconsin state competition held Oct. 7 at Lawrence. The performance competition recognizes exceptionally talented young artists and their teachers in their pursuit of musical excellence. The young artist division is for state musicians aged 19-26 while the senior division is open to musicians 15-18. Sophomore violinist Abigail Keefe of Appleton and Third Form Trio – junior flautist Bianca Pratte, Walnut Creek, Calif., junior bassoonist Stuart Young, Arlington, Texas, and senior pianist Mayan Essak of Shorewood — were named “state representatives” as the only entrants in their divisions. The three winners and the designated state representatives advance to the regional competition Jan. 7, 2018 at the University of Illinois Champaign-Urbana with regional winners competing in the MTNA national finals March 17-21, 2018, in Lake Buena Vista, Fla.
Also at the competition, senior Anthony Cardella, Porterfield, and freshman Noah Vasquez, Zurich, Switzerland, earned second place and honorable mention honors, respectively, in the young artist piano division. Suminski and Vasquez study in the piano studio of Cathy Kautsky. Graziano is a student of Anthony Padilla. Cardella is a student of Michael Mizrahi. Keefe studies with Wen-Lei Gu, while Martenis and the members of Third Form Trio are all students of Erin Lesser. Appleton’s Abigail Peterson, a ninth-grade, piano student at the Lawrence Academy of Music, won the Wisconsin Music Teachers Association High School Virtuoso Competition held at the same time. A student in the piano studio of Catherine Walby, Peterson received $100 for her winning performance. 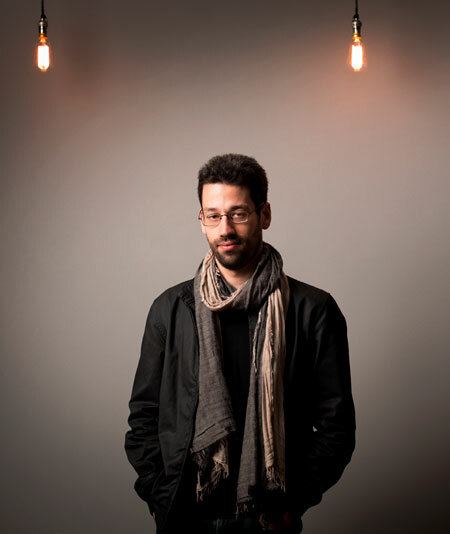 Internationally acclaimed pianist Jonathan Biss shares his talent, passion and intellectual curiosity with classical music Friday, Oct. 6 at 8 p.m. in the opening concert of Lawrence University’s 2017-18 Artist Series. Tickets for the performance in the Lawrence Memorial Chapel, at $25-30 for adults, $20-25 for seniors, $18-20 for students, are available through the Lawrence Box Office, 920-832-6749. Born into a family of musicians in Bloomington, Ind., Biss has nearly two decades on the concert stage. He has forged relationships with the New York Philharmonic; the Philadelphia, Cleveland and Philharmonia orchestras; the Boston, Chicago and Swedish Radio symphony orchestras; and the Leipzig Gewandhaus, Budapest Festival and Royal Concertgebouw orchestras, among others. “His programming is unfailingly original,” said Kautsky. “He grapples with the most challenging repertoire and his musical thinking, in both words and performance, is sophisticated, articulate and personal. 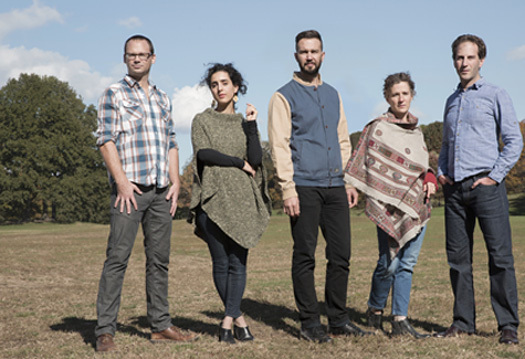 Earlier this year, Biss performed the world premiere of “City Stanzas,” a concerto by British composer Sally Beamish, as the second installment in the “Beethoven/5” project. For the project, the St. Paul Chamber Orchestra co-commissioned five composers to write new piano concertos, each inspired by one of Beethoven’s. Biss’ virtuosity has been recognized with numerous honors, including the 2005 Leonard Bernstein Award at Germany’s Schleswig-Holstein Festival, Lincoln Center’s Martin E. Segal Award, which honors young artists of exceptional accomplishment and the biannual Borletti-Buitoni Trust Award, which rewards musical excellence. His 11-album discography includes a Schumann recital album which received a Diapason d’Or de l’année award and a recital album of Beethoven Piano Sonatas, Op. 13, 28, 90 and 109 which won the Edison Award, an annual Dutch music prize presented in honor of outstanding achievements in the music industry. Biss served as artist-in-residence on American Public Media’s Performance Today and was the first American chosen to participate in the BBC’s New Generation Artist program. 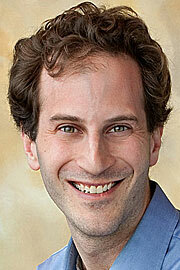 In addition to his concert, Biss will conduct a free master class on Thursday Oct. 5 at 6 p.m. in Harper Hall. More than a dozen world-class artists will grace the stage of the Lawrence Memorial Chapel during Lawrence University’s 2017-18 Performing Arts Series. Subscriptions for both the Artist and Jazz series are on sale now. Subscribers may choose from either series for a “Favorite 4” package, with discounts available to senior citizens and students. Single-concert tickets go on sale Sept. 18. For more information, contact the Lawrence Box Office, 920-832-6749 or boxoffice@lawrence.edu. 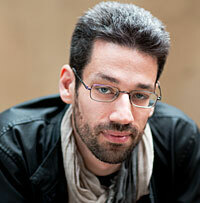 • Jonathan Biss, piano, Friday, Oct. 6, 8 p.m.
Pianist Jonathan Biss. Photo by Benjamin Ealovega. Since making his New York City recital debut as a 20-year old in 2000, Biss has performed with the New York Philharmonic, Chicago Symphony, the Cleveland Orchestra, the Swedish Radio Symphony Orchestra, the Budapest Festival Orchestra, and many other of the world’s leading orchestras. Biss is currently in his second year of the “Beethoven/5” project, in which he will premiere five new piano concertos, each inspired by one of Beethoven’s. He opened the project in 2016 with “The Blind Banister” by Timo Andre, which was a finalist for Pulitzer Prize in Music. 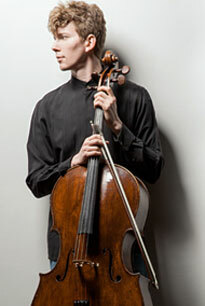 Later this year he will debut Sally Beamish’s concerto with the St. Paul Chamber Orchestra. • Sasha Cooke, mezzo soprano, Saturday, Feb. 24, 2018, 8 p.m.
A 2011 Grammy Award-winner for her electrifying performance as Kitty Oppenhemier in the Metropolitan Opera premiere of “Doctor Atomic,” Cooke has been racking up acclaim and honors since graduating from Rice University and the Juilliard School, where she made her professional debut. Hailed by the New York Times as “a luminous standout,” Cooke specializes in contemporary opera and is renowned for her work with the music of Gustav Mahler, which she has performed to robust praise on four continents. A much-in-demand singer, Cooke has performed with nearly 30 orchestras around the world from New York to New Zealand and from San Francisco to Shanghai. 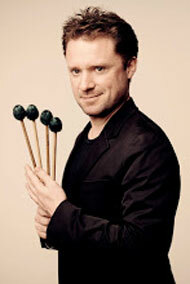 • Colin Currie, percussion, Friday, March 30, 2018, 8 p.m.
A champion of new music at the highest level, Currie has been called “the world’s finest and most daring percussionist” by British magazine The Spectator. A graduate of England’s Royal Academy of Music, Currie performs regularly with the world’s leading orchestras and conductors. Known as an adventurous soloist with an unmatched commitment to creating new music, Currie was recognized by the Royal Philharmonic Society in 2000 with its Young Artist Award and in 2015 with its prestigious Instrumentalist Award. Currie’s 13-album discography includes 2016’s “Dawn to Dust” with the Utah Symphony. • Joshua Roman, cello, with JACK Quartet, Saturday, April 21, 2018, 8 p.m. The 33-year old Roman has earned an international reputation for his wide-ranging repertoire, artistic leadership and versatility. Beyond being a celebrated performer, he is recognized as an accomplished composer and curator. As artistic director of Seattle’s TownMusic, Roman has showcased his own eclectic musical influences and chamber music favorites while also promoting newly commissioned works. His cultural leadership utilizes digital platforms to harness new audiences, including YouTube for his “Everyday Bach” project, in which he performs Bach’s cello suites in gorgeous settings around the world. He’ll be joined by the JACK Quartet — violinists Christopher Otto and Ari Streisfeld, violinist John Pickford Richards and cellist Kevin McFarland. 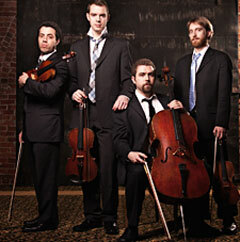 Founded in 2007 and based in New York City, the quartet was called “superheroes of the new music world” by the Boston Globe. Their performances at Carnegie Hall and Lincoln Center were met with critical acclaim and their commitment to new music has earned them the CMA/ASCAP Award for Adventurous Programming and New Music USA’s Trailblazer Award. 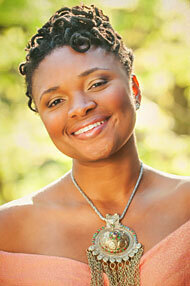 • Lizz Wright, vocalist, Friday, November 3, 7:30 p.m.
Singer Lizz Wright. Photo by Jesse Kitt. The charismatic, honey-voiced Wright opens Fred Sturm Jazz Celebration Weekend. A native of Georgia who makes her home now in North Carolina, Wright’s musical baptism began in church. Her early gospel roots have since been fused with jazz, blues, folk and R&B, earning comparisons to Norah Jones. 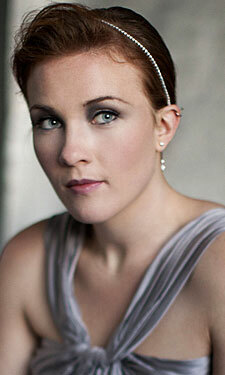 She has drawn critical raves since her debut album, “Salt,” zoomed to the top of the contemporary jazz charts in 2003. Through her three following discs, Wright has demonstrated her innovative interpretation skills and established herself as popular song stylist. • Storms/Nocturnes with the Lawrence University Jazz Ensemble, Saturday, Nov. 4, 7:30 p.m. 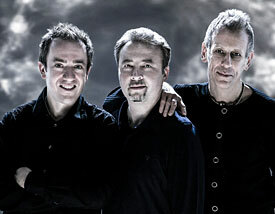 Combine British saxophone legend Tim Garland, world-class vibraphone virtuoso Joe Locke and recent Grammy nominee pianist Geoffrey Keezer and you have a chamber jazz trio with few peers. The extraordinary combination serves as the bookend to Lizz Wright for Fred Sturm Jazz Celebration Weekend. After collaborating on a pair of successful releases, “Storms/Nocturnes” in 2002 and “Rising Tide” in 2003, the trio members spent seven years working on individual projects and with other bands before reuniting in 2010 to release the 10-track disc “VIA” the following year. The reunion revived one of the most timeless intercontinental jazz collaborations in the world today. 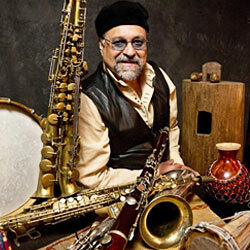 • Joe Lovano Classic Quartet, Friday, February 2, 2018, 8 p.m.
A 2000 Grammy Award winner, Lovano more recently was recognized by DownBeat magazine and the Jazz Journalists Association as 2014’s tenor saxophonist of the year. José Encarnación, director of jazz studies at Lawrence who met Lovano at the Heineken Jazz Festival in the late 1990s, calls him “one of my favorite saxophone players ever. 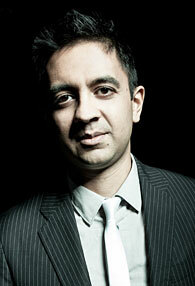 • Vijay Iyer Sextet, Friday, May 11, 2018, 8 p.m.
A three-time recipient (2012, ’15, ’16) of DownBeat magazine’s “Artist of the Year” honor, Iyer unprecedentedly added Pianist of the Year, Jazz Album of the Year, Jazz Group of the Year and Rising Star Composer honors in the 2012 Downbeat International Critics Poll. The recipient of a MacArthur Foundation “genius” grant in 2013, Iyer has expanded his acclaimed piano trio to a sextet by adding renowned horn players Graham Haynes, Steve Lehman and Mark Shim. In 2014, Iyer began a permanent appointment as the Franklin D. and Florence Rosenblatt Professor of the Arts in Harvard University’s music department. Lawrence University pianists Derrick Hahn and Evan Newman earned first- and second-place honors, respectively, Nov. 12 in the Civic Symphony of Green Bay’s Miroslav Pansky Memorial Concerto Competition. Hahn, a senior from Milwaukee, is the fourth Lawrence student since 2009 to win the Pansky competition. He played the first movement of Béla Bartók’s “Second Concerto” for the competition and received $500 for his winning performance. He will reprise his performance with the Civic Symphony as guest artist on Feb. 18, 2017 in a concert at the Meyer Theater. This was Hahn’s second competition triumph this fall. Last month he won the piano division of the 2016 Music Teachers National Association (MTNA) Wisconsin state competition. Newman, a senior from Plymouth, Minn., received $250 for his second-place performance. He performed Sergei Rachmaninoff’s Concerto No. 1 for the competition. Newman earned honorable mention honors at the MTNA Wisconsin state competition. Both are students in the piano studio of Associate Professor of Music Anthony Padilla. Emmy Hauer, an Appleton home-schooled freshman who studies violin with Lawrence Associate Professor Samantha George through the Lawrence Academy of Music, placed second in the Pansky competition’s high school division. The competition is open to voice, brass, woodwind and piano students from Northeast Wisconsin through the age of 21. It is named in honor of the late Miroslav Pansky, the long-time conductor of the Green Bay Symphony Orchestra and founder of its youth orchestras. Lawrence University students captured three first-place honors at the recent 2016 Music Teachers National Association (MTNA) Wisconsin state competition conducted at UW-Stevens Point. 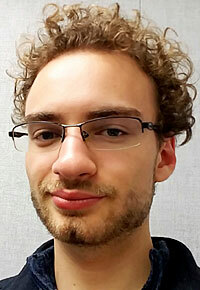 Senior Derrick Hahn of Milwaukee extended Lawrence’s remarkable streak in the piano division with his winning performance, becoming the 16th Lawrence piano student in the past 17 years to win the annual Wisconsin MTNA competition. Lawrence students swept the piano division. Senior Ming Hu of Changsha, China was named first alternate while sophomore Nick Suminski of Williamsburg, Mich., sophomore Mayan Essak of Shorewood, senior Evan Newman of Plymouth, Minn., and freshman Gabrielle Claus of Lancaster, Pa., all earned honorable mention recognition. 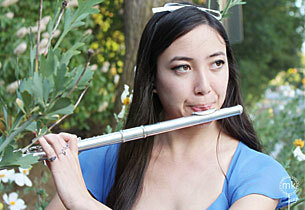 Flutist Bianca Pratte, a sophomore from Walnut Creek, Calif., won the woodwind competition, marking the second year in a row a Lawrence flutist won the MTNA woodwind division. Trio Arcia — junior Ethan Valentin of Chicago, piano, junior Meghan Murphy of Wauwatosa, violin, and junior Mikaela Marget of Stillwater, Minn., cello, was named winner of the chamber music division. Each of the three winners will advance to the East Central regional competition Jan. 14-15, 2017 at Central Michigan University. Regional winners advance to the MTNA national finals in March 2017 in Baltimore, Md. Hahn, who studies in the studio of Anthony Padilla, played Rodion Shchedrin’s “Basso Ostinato” and Brahms’ first published work, the massive “First Sonata in C major” for his winning performance. Pratte, a student in Erin Lesser’s flute studio and the 2015 winner of the Wisconsin Flute Festival’s Collegiate competition and the National Flute Association Collegiate Flute Choir competition, played Frank Martin’s “Ballade for flute and piano,” Robert Muczynski’s “Three Preludes for Solo Flute” and Jules Mouquet’s “La Flute de Pan” in the finals. The MTNA performance competitions recognize exceptionally talented young artists and their teachers in their pursuit of musical excellence. 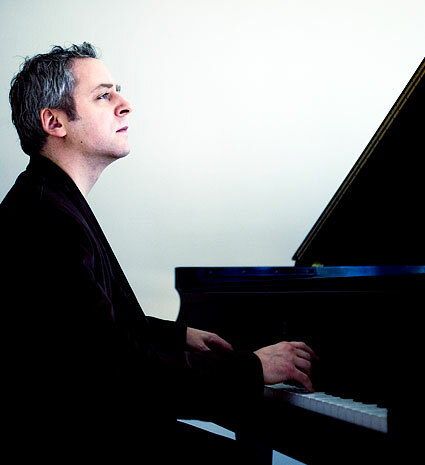 With a thought-provoking repertoire and an enthusiastic interest in all things music, pianist Jeremy Denk brings his gifts for enlivening the musical experience for diverse audiences to Lawrence University’s Artist Series. Denk performs Friday, April 8 at 8 p.m. in the Lawrence Memorial Chapel. Tickets, at $25/$30 for adults, $20/$25 for seniors and $18/$20 for students are available through the Lawrence Box Office, 920-832-6749. He has toured extensively with violinist Joshua Bell and collaborates regularly with cellist Steven Isserlis. His 2012 album with Bell, “French Impressions,” won the 2012 Echo Klassik Award. Named a recipient of the MacArthur Foundation’s coveted $625,000 “Genius” Fellowship in 2013, he was honored the following year with Musical America’s 2014 “Instrumentalist of the Year” award. That same year, he was named winner of the Avery Fisher Prize, which is awarded by New York City’s Lincoln Center and recognizes solo instrumentalists who have demonstrated outstanding achievement and excellence in music. It includes a $75,000 monetary prize. Beyond his captivating performances, Denk contributes eloquent insights about music on his blog, “Think Denk,” which recently was selected for inclusion in the Library of Congress’ web archives. An article he wrote for The New Yorker in 2013 entitled “Every Good Boy Does Fine” forms the basis for a memoir about his experiences as a music student. Currently living in New York City, Denk holds degrees from Oberlin College, Indiana University and the Julliard School. Founded in 1847, Lawrence University uniquely integrates a college of liberal arts and sciences with a nationally recognized conservatory of music, both devoted exclusively to undergraduate education. It was selected for inclusion in the book “Colleges That Change Lives: 40 Schools That Will Change the Way You Think About College” and Fiske’s Guide to Colleges 2016. Engaged learning, the development of multiple interests and community outreach are central to the Lawrence experience. Lawrence draws its 1,500 students from nearly every state and more than 50 countries. 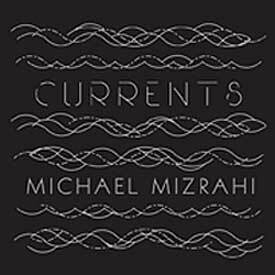 The second album by Lawrence University piano professor Michael Mizrahi — “Currents” — will be released Friday, March 25 on New Amsterdam records. He’ll celebrate with a release party performance March 26 at National Sawdust in Brooklyn, N.Y. Acclaimed violinist Michi Wiancko will join Mizrahi as a special guest. The follow-up to 2012’s “The Bright Motion,” his critically acclaimed debut album, “Currents” features six new American piano works, almost all of which were commissioned by Mizrahi and written specifically with his singular sound and approach in mind. Among the composers who contributed to the album is his Lawrence conservatory faculty colleague Asha Srinivasan, whose track, “Mercurial Reveries,” is a probing five-movement work that draws on her Indian American heritage. It is in one moment domineering and terrifying and in the next, delicate, docile and nostalgic. Sarah Kirkland Snider wrote the title track, “The Currents,” which flows from start to finish, with currents of sound pulling the listener through eddies and whirlpools along the way. Troy Herion’s “Harpsichords” evokes a transparent Baroque texture, replete with trills and shakes while Mark Dancigers’ “The Bright Motion Ascending” — the third installment in his Bright Motion trilogy written for Mizrahi — explores the vibrant upper reaches of the instrument before plummeting back to Earth with a cataclysmic final chord. “Heartbreaker,” written by Missy Mazzoli, begins with focused precision then evolves into a trance-like state that eventually breaks down in a schizophrenic collapse. Patrick Burke‘s “Missing Piece” features piquant dissonances and slow-moving triadic harmonies that plumb the lowest ranges of the piano. “Currents” is available at bandcamp.com. Versatile pianist and composer Robert Glasper and his band, the Robert Glasper Trio, showcases his forthcoming album “Covered” Friday, May 1 at 8 p.m. in the final concert of the 2014-15 Lawrence University Jazz Series. 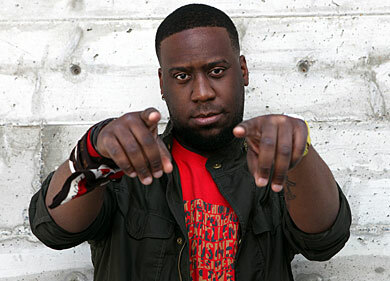 Robert Glasper previews his forthcoming album “Covered” May 1 in the final 2014-15 Jazz Series concert. Tickets for the Lawrence Memorial Chapel concert, at $25-30 for adults, $20-25 for seniors and $18-20 for students, are available through the Lawrence Box Office, 920-832-6749. The album, which is scheduled for official release June 16, was recorded live in front of an intimate gathering of invited guests in Capitol Records’ historic Studio A. The first single from the album, “Reckoner,” a cover of the Radiohead song, was made available to all streaming services and digital retailers on April 22. “Robert Glasper is unmistakable for his gospel-infused sound,” said Lawrence associate professor of music Mark Urness, bassist with the Lawrence Faculty Jazz Quartet. “He has amazingly collaborated with the top artists in jazz and R&B and is one of the busiest pianists and composers today. The New York Times locates Glasper’s signature eclectic, referential style at the “junction of coolheaded logic and digressive caprice.” The new album features songs by hip-hop and R&B stars like Kendrick Lamar, Musiq Soulchild, John Legend and Bilal alongside jazz standards like “Stella by Starlight” and works by Radiohead and Joni Mitchell. In addition to working on “Covered,” Glasper composed and recorded the score for “Miles Ahead,” Don Cheadle’s upcoming film about Miles Davis. He also has been combing through Davis’ Columbia Records vaults and will create a remix album based on the legendary trumpeter’s recordings, rehearsals and outtakes. He was recently named a Steinway Artist, joining the roster of world-class musicians who perform exclusively on Steinway pianos. Glasper’s concert is a rescheduled appearance from an originally schedule performance for January 30 that had to be cancelled due to a film project conflict. 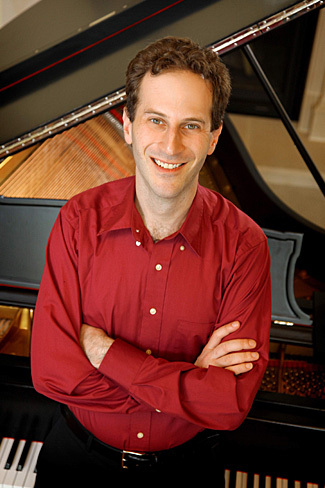 Lawrence University pianist Michael Mizrahi has been named one of five international recipients of the S&R Foundation’s 2014 Washington Award. Assistant Professor of Music Michael Mizrahi was among five national recipients of the Washington Award presented by the S&R Foundation. Presented annually by the Washington, D.C.-based foundation, the Washington Award recognizes individuals who display outstanding ability and artistic excellence. It supports those who contribute to an international cultural dialogue. Mizrahi, assistant professor of music at Lawrence, will be formally honored May 30 at the S&R Washington Awards Gala at the Halcyon House in the Georgetown district of the nation’s capital. He will receive a $5,000 cash prize in support of his career. According to Sachiko Kuno, CEO and president of the S&R Foundation, the 2014 Washington Award winners “are dynamic artists who are engaged with their communities and with audiences worldwide. “We applaud their drive and aspirations and are proud to support them towards the next steps in their creative development,” said Kuno in announcing the award winners. His recording portfolio also includes the world premiere of three works for violin and piano by Aaron Copland. He is a founding member of both NOW Ensemble, a chamber group devoted to commissioning and performing new music by emerging composers, and the Moët Trio. He also is a member of the New York City-based chamber ensemble Decoda, which creates innovative performances and engaging projects with partners around the world. Mizrahi is currently co-directing the project “Music for All: Connecting Musicians and Community.” The project is supported by a $16,700 Arts and Culture grant from unrestricted funds within the Community Foundation for the Fox Valley Region and is designed to bring classical chamber music to settings where such music is not normally performed.